The Americans with Disabilities Act or "ADA" is a civil rights law that prohibits discrimination against individuals with disabilities in all areas of public life, including jobs, schools, transportation, and all public and private places that are open to the general public. 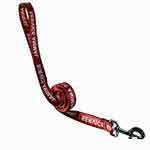 The Air Carrier Access Act is a federal law guarantees your right to air travel with your service dog or emotional support animal in the cabin of an aircraft without discrimination and NOT be charged a pet fee. This federal law protects the right of people with disabilities, and requires landlords to make a reasonable accommodation to allow a disabled tenant to keep a service or emotional support animal ESA). This applies even when a landlord's policy explicitly prohibits pets. Landlords may NOT charge a pet fee. According to the Americans with Disabilities Act, an individual with a disability is a person who is regarded as having or has HAD a physical or mental impairment that substantially limits one or more major life activities. Major life activities include functions such as performing manual tasks, walking, seeing, hearing, speaking, breathing, learning, and working. 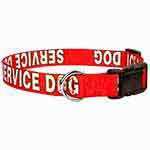 A Psychiatric Service Dog (PSD) is like any other service dog. They are individually trained in obedience, performing tasks, and working in distracting public environments to mitigate their partner's psychiatric disability. Their function is NOT to provide emotional support, but to perform tasks which enable their partner to function in ordinary ways the non-disabled take for granted. This is simply a dog that is in the training phase of becoming a service dog. Although service dogs in training have no federally protected rights, many public places allow access by a handler with a service dog in training. 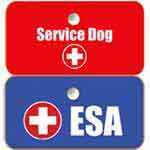 An ESA prescription letter is the legally necessary letter written by a licensed therapist, psychiatrist, or medical doctor that prescribes an emotional support animal for an impaired person. The letter must be properly written and contain very specific information. These letters are typically valid for 12 months. 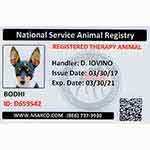 Often confused with emotional support animals, a "therapy animal" is a dog, cat, or other animal that is usually trained and carefully screened to provide affection and comfort to people in hospitals, retirement homes, nursing homes, schools, hospices, disaster areas, and to people with autism. Therapy Animals have no legally protected rights. 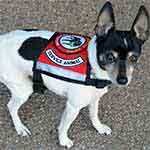 "Assistance Animal" is an informal and unofficial name for "service dog". 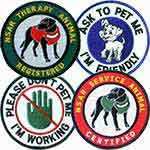 A "Comfort" Pet or animal is just an informal and unofficial name for an emotional support animal (ESA).